Fully integrated EHR software for your medical practice. 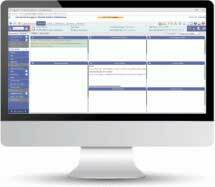 Electronic health record (EHR) software from PrognoCIS offers a customizable workflow designed for your practice. PrognoCIS EHR also offers medical billing services, telemedicine with custom mobile apps, integrated patient payments, and more. Visit PrognoCIS Denali to see what’s new in our latest version. Need custom templates and workflow for your practice? See all the medical specialties we work with. Looking for the most suitable electronic health record (EHR) system to incorporate within a healthcare practice can be a detailed process. At times, EHR can be time-consuming because of the lengthy workflow. The solution lies in looking for a customizable EHR solution, which empowers healthcare practitioners to deliver services proficiently. A customizable EHR system is the most appropriate solution for enhancing the workflow and overall resourcefulness of a healthcare practice. The ultimate effect of developing a customized EHR system is not just the benefits it has for healthcare providers and their staff, but also the positive impact it has on the patients and healthcare professionals – pharmacists, lab technicians. The inflexibility of standard EHR templates often restrains healthcare professionals from obtaining accurate patient health information whereas a customized EHR template integrates patients’ information to obtain valuable clinical data. Customized EHR templates allow proficiency without restricting healthcare professionals into a script unsuitable for the task at hand. It also allows for excellent efficiency, certainly required in a stressful clinical setting. Customized EHR templates result in improved understanding and accuracy of patient’s information. Particularly, specialty healthcare providers endeavor to fulfill the unique requirements of every patient and to document their efforts in a clear manner. The customized EHR templates fully support patients demanding customized clinical documentation. This is particularly beneficial for the specialties that see different patients with similar medical conditions. Considering each patient is unique, EHR customization allows to serve their unique requirements in a better way. EHR customization tends to have a positive impact on practice flow as well as on health outcomes. Clinical documentation ensures that the proceedings of the patient meeting are noted correctly and that EHR accurately reflects the services provided. EHRs not only offer support for best practices but also for meaningful use, focused on the continually changing needs and objectives of healthcare providers as well as their patients. The possibility of high-quality care improves with the high precision of gathered information, interaction details, order tests’ results, along with many other advantages of using a customized EHR system. Occupied and hardworking healthcare professionals are always engaged in complying with health care demands while keeping patients as their main focus. The rules and regulations such as correctly pushing ICD 10 and CPT codes to the medical billing may take up most of their time that would otherwise be spent with patients. A customizable EHR system can automate these processes and further assist physicians in receiving incentives and reimbursements while saving their time on following complex regulations. In addition to that, customizable EHR offers an added benefit of having a meaningful use dashboard, which reduces stress and allows healthcare providers to spend more time with patients in the examination room. With the advent of Medicare Access and CHIP Reauthorization Act (MACRA), the Medicare EHR Incentive Program, usually identified as meaningful use, transformed into one of the constituents of latest Merit-Based Incentive Payment System (MIPS). As of today, in quality payment program (QPP), performance groups, along with Advancing Care Information and Quality Measures Reporting in MIPS, offer incentives to clinicians for using certified EHR technology. An EHR solution that is customized according to the requirements of the practice and its staff allows for a convenient practice-wide adoption of the EHR solution. The staff would be more encouraged to make use of a customized EHR solution, which is more practical with appropriate tabs and modules. These tabs and modules appear as per their requirement, with a system that is personalized to practice workflow with increased staff engagement. EHRs usually lack particular tools and functions that are usually required by healthcare professionals serving in a particular niche. Moreover, the specialty-specific functionality of customized EHR solutions allows for the removal of tools that are not needed by a practice. This further eliminates the possibility of errors and makes regular use of EHR more proficient. For example, specialty-specific EHR is highly substantial in cardiology practice, which may include templates for EKGs, and abnormal stress tests, a database of cardiology medicines, the capability to import the results of further scans and tests and specific documentation. Because there is a high possibility of medical emergencies for cardiac patients, customized EHR allows cardiologists to better interact with emergency rooms. The medication management benefit of customized EHR solutions empowers healthcare practitioners to support their patients by allowing them to have swift access to their required medications. Customized EHR solution allows for the efficient prescription of controlled substances, especially when prescribing medication for pain management. EPCS certified systems allow for better opioid management as well as substance abuse management. Customized EHR solutions with e-prescribing capability also allow submission of orders through an electronic medium to any pharmacy in the country that have e-prescribing enabled. This further reduces the possibility of double entry and provides relief from tiring paperwork while saving time, effort and cost. Medication management through customized EHR further provides physicians with details about their patients’ medications, drug allergies and encourages patients’ adherence by instantly providing educational materials targeted at patients need. User-friendliness and convenient usability of customizable EHR allows the automation of all tedious and redundant tasks. This automated workflow further empowers healthcare providers to stay more focused on their patients’ care. Further easier collection and reporting on data include facilitating providers with the adaption of electronic fax technology that allows to regularly send patients information such as SOAP notes to referring healthcare practitioners after every subsequent visit to the practice. Customizable EHR further allows for the development of automated exam template actions, which also empowers convenient collection and reporting of data. Moreover, physicians can customize their specific templates according to their practice. Customizable EHR allows for adaptable templates, that can be altered to particular requirements of a visit to the healthcare practice. This feature of customizable EHR designed according to a practice empowers practitioners to practice in their own suitable way. Healthcare providers are also required to work with the health information exchanges (HIEs) and further groups to share health data, research, and further information securely and privately. 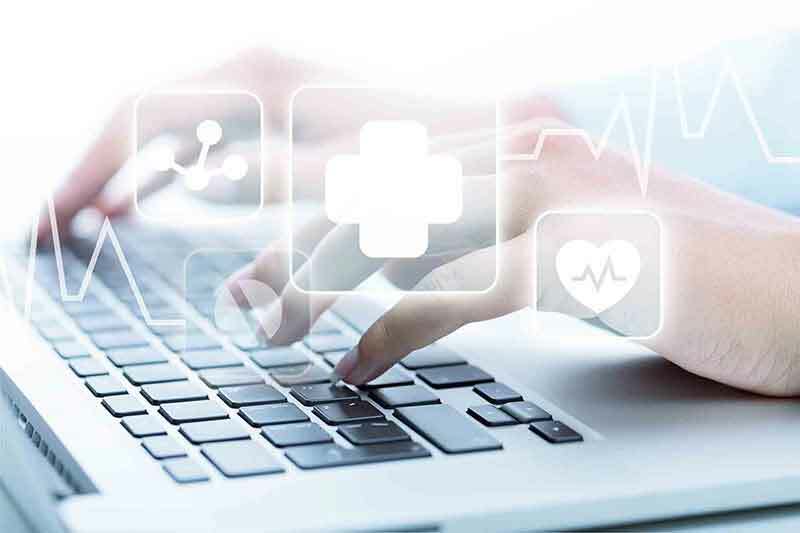 Electronic HIE allows both healthcare providers and patients to conveniently access and safely share vital medical information by electronic means. This eventually increases the swiftness and integration of sharing system while securing information and decreasing the cost of patient care. According to the researchers at PwC, EHR and health data interoperability will also support this evolution of the healthcare industry. The benefits of this interoperability include a reduced number of redundant tests, effective interaction between specialists and referring healthcare professionals and decreased healthcare costs. This uninterrupted sharing of information can be extremely effective in boosting the efforts to power a data-driven health ecosystem.